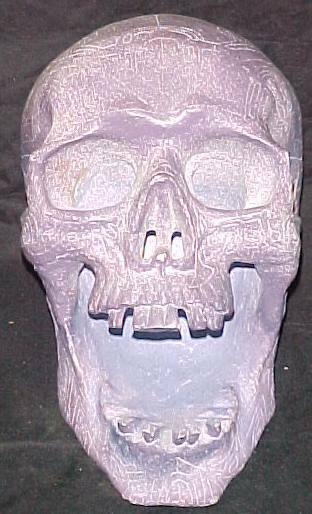 Farscape Props for sale - Guaranteed genuine! All these Items are Genuine Props that came off the set of the great Sci-Fi show Farscape that was made here in Sydney, when they scrapped it in late 2002. Where possible I have indicated where the prop was seen in the show. These were bought through local public Auction and as such there is no risk of Farscape Productions laying claim to them in any way. All are from the main series, prior to making the Peacekeeper Mini-series. Clicking on MOST pics will provide a larger view of the pic to enable better detail etc. 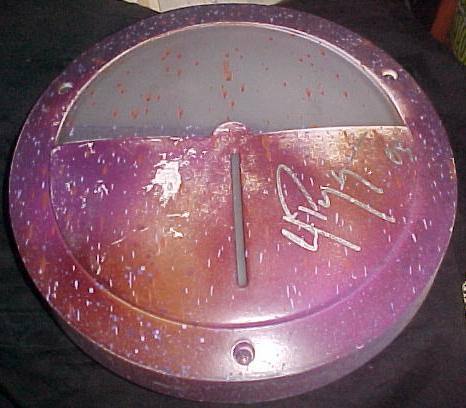 Green Plastic Tray - SIGNED in person by Wayne Pygram (Scorpius) at TaScape at Maroubra, Sydney on 19 Jan 2003. 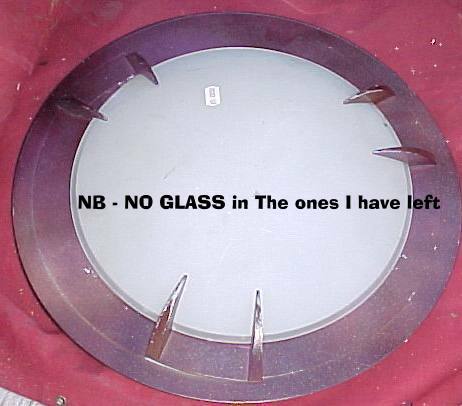 Tray is a green translucent plastic (perspex), about 12.5" square and 1"deep. Condition - some light wear as expected of a used prop. otherwise great. 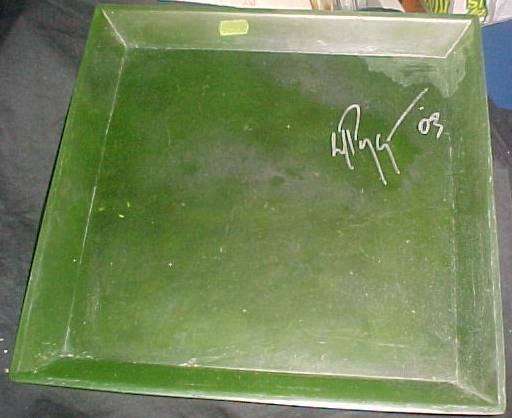 Green Plastic Tray - SIGNED in person by Wayne Pygram (Scorpius) at TaScape at Maroubra, Sydney on 19 Jan 2003. Tray is a green translucent plastic (perspex), about 12.5" x 7.1" and 1"deep. 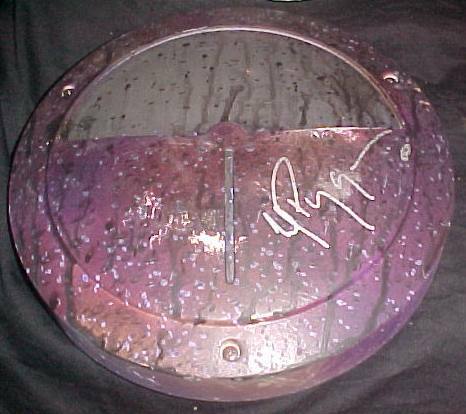 This item is a wall light SIGNED in person by Wayne Pygram (Scorpius) at TaScape at Maroubra, Sydney on 19 Jan 2003. 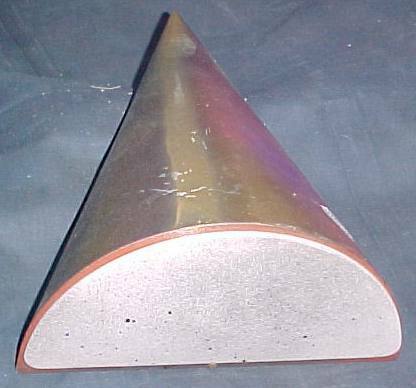 Measures about 10.5" diameter, and 2.5"deep, was used at 240volt (but 110v is easily used instead). It weighs just over 2kg (about 4.5lb), so postage is high (but I can bulk-ship several items to keeps costs as low as possible). This is a large backdrop from the set of Farscape. 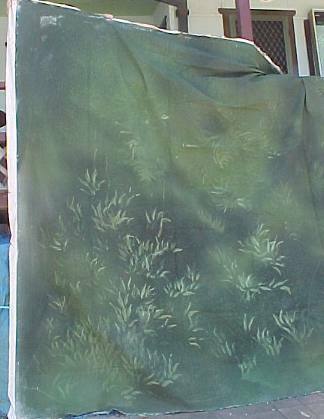 It measures 5metres x 3.2mtrs and is described on the paper label attached on the back as Forest -Green/leafy. It is a fairly generic backdrop but is still an interesting authentic prop item. 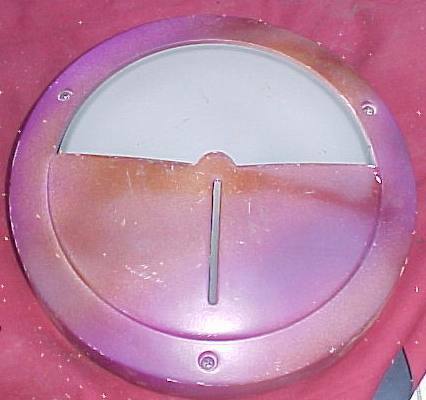 Weight is about 7.5kg as it is white canvas with the paint added. 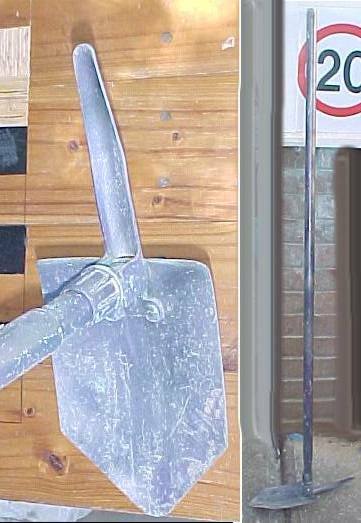 a folding head shovel/pick, but appears to have been modified by replacing the standard short handle with a long one. It is now 5'2" tall. The shovel/pick fold up when "not in use". An odd item - like many of these props! Condition - USED, some wear marks, generally great. 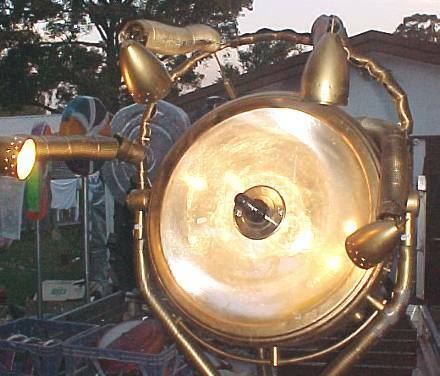 This is a gigantic sci-fi lamp. It is originally constructed with a hospital operating theatre lamp as the central piece, and has lots added and the globes are not a standard brightness rather than operting theatre brightness. There are 4 other lamps added on the top edge. 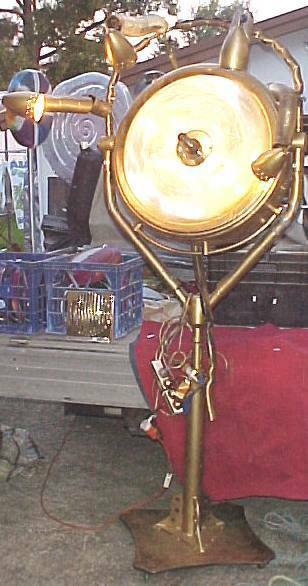 Approximate sizes: The theatre-lamp section is 32"wide including the bracket, and about 28" deep including the lamps that protrude on arms at the top, while it stands a total of 6',10" tall. The base is a solid steel plate with wheels/casters underneath so it can be moved fairly easily. Gold sprayed on all surfaces except the lamp glass. VERY HEAVY!! !- shipping will be a challenge and pricey, but not impossible. 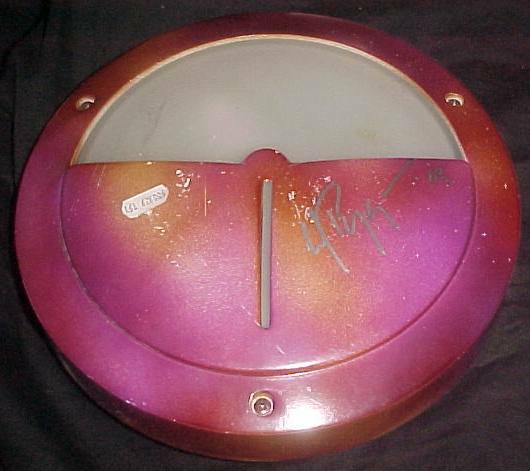 There is an electricians safety-check tag attached that DOES SAY FARSCAPE on it - so the authenticity of this is obvious. I saw this in several episodes inside Moya (in Zaans room). Condition - generally good - used of course, one of the 4 lamps that protrude at the top has a snapped bracket, but is easy to fix (better after shipping though). The base can be removed from the top section, so it could be shipped (with the base) somewhat smaller than the 7feet that it stands. But realisically - if you dont live in Australia it ain't worth the estimated AU$2000 shipping costs to America for example. Condition - good - but used of course. 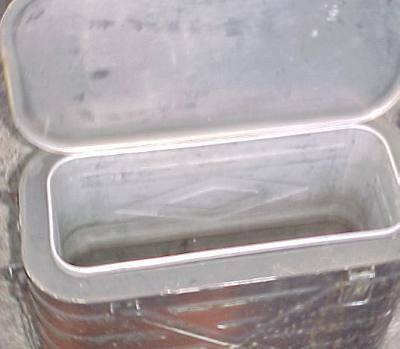 This is a metal cannister about 6 inches diameter and about 30" long, assuably originally a cannister forsome form of ordnance. 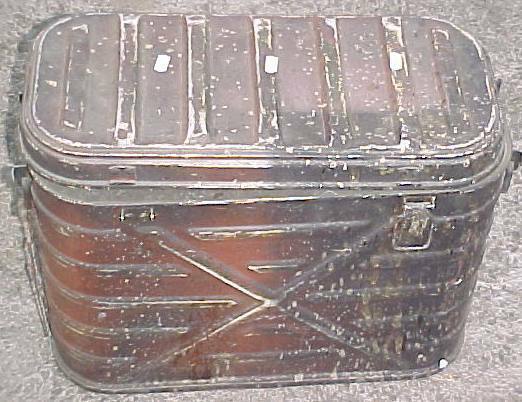 Unsure where it was used, but assume it was probably in one of the market town scenes or the same as the army esky. All prices quoted are in AUSSIE dollars. Price for postage, packing & insurance to be added to listed price. CERTIFICATES OF AUTHENTICITY are included with each item. A Pic of Wayne signing the lights can be included as well for the lights or trays (as a jpeg via email). Payment for goods by within Australia by Paypal, money order, & even cash. Pickup is possible - in Panania, just off the M5. SHIPPING COSTS are additional to the costs quoted (and linked on the paypal buttons). Please email to confirm shipping costs or arrange pickup. Overseas payments can be made by Visa, Mastercard, or American Express. Copyright © 2003-2010Robian Enterprises International. All Rights Reserved. Last updated 13th June 2013.